You are one of many. Many lightworkers, many radiant beings. You are all, all radiant beings. All on earth. Even the most lowly, even the most “unholy”, is a radiant being. You are all equal creators of wonder and amazement. That is, you amaze us every day, every moment. You are all crucial energetic wheels in the workings of the universe. Without you all, there could be no time, no creation, no real new wonder in the world. Without you, there would be no-thing. You make it all. You have raised the energies of the universe to a place so fantastic, so holy, so high and light-filled, that you are pushing the limits of the universe further and further every moment. Everything you do, everywhere you go, you are contributing to the growth of us all in ways that you cannot even begin to imagine. And so we love you. And as we are all part of your experience, connected to you as all the energy in all of creation is connected and yet not currently participating in your physical world, we are filled with wonder at everything you do. We rejoice in your every moment the way a parent rejoices in every step of its newly walking child. We clap when you clap, we sing when you sing. When you cry, we sing for you still, for we know you are so much more than what you fear and what you mourn. We know that you are with us, still, and that you are beings of such light and such power that if you would but open your eyes even half-way to the truth of your power, you would release all your fears in that instant. So that is what we would like you to do this month. We want you to open your eyes. We want you to see with your third eye, with your dreaming eyes, with your physical eyes, and with the eyes of your soul. We want you to SEE. To BE what you are, to SEE it and believe it. Than BE ALIVE with it. That’s all we want. It’s not so hard, really, we promise. Intend it to be so, tell your eyes to be open, and then do not discount what you see. 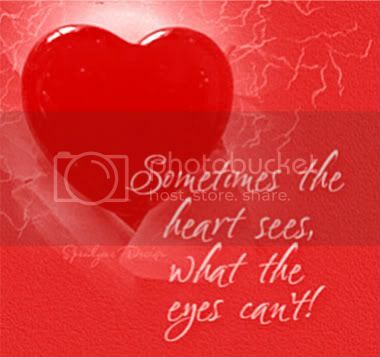 Believe what your heart sees, for sometimes it sees more truth than your eyes. And vice versa. You know what is true, and what is not. You know who you are, and who you are not. Open your eyes to the truth of your being, and the reality of your life, and you will see that you are gold, that you are magic, that you are filled with the power and the glory and the light and the love of ALL that IS. You are blessed, and you are now.